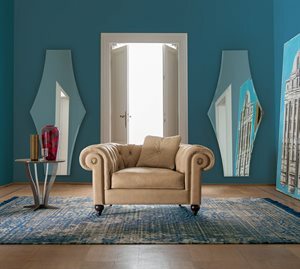 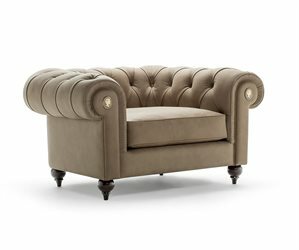 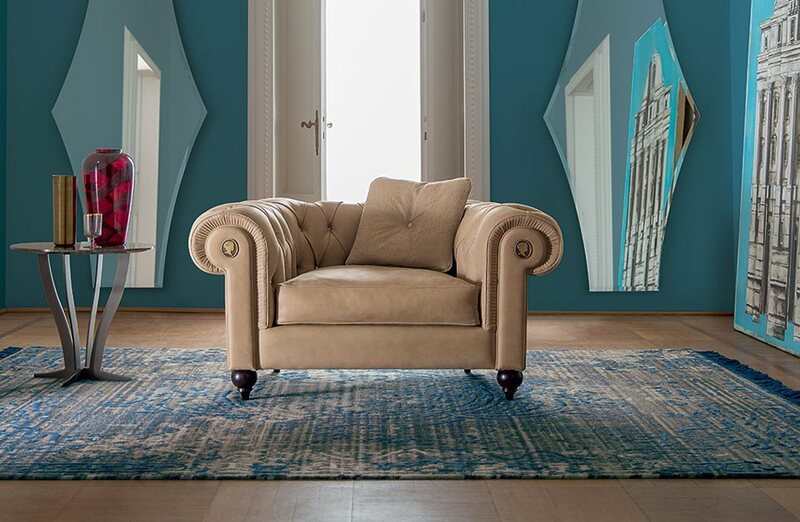 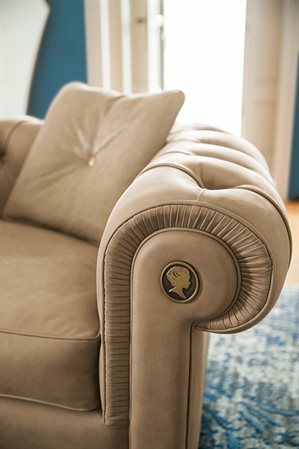 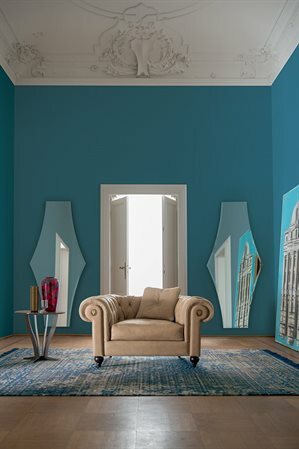 The Alfred armchair is inspired by the classic tradition of Chesterfield sofas while interpreted with a modern twist in terms of size and comfort. 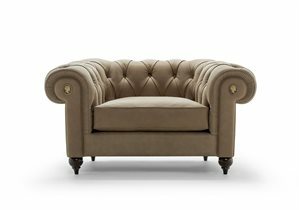 The metal buttons of the deep-buttoned upholstery are unique and elegant, giving further importance to the sofa that plays a leading role in your house. 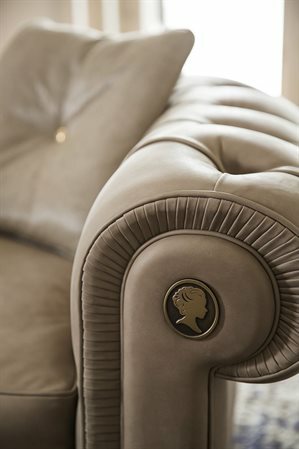 An example of the most refined Italian manufacture.